born January 4, 1954) is an American fashion designer known for her House of Deréon brand. She is of Louisiana Creole heritage. Perhaps best known as the mother of singer Beyoncé Knowles, and Solange Knowles; and is the ex-wife of Mathew Knowles, who currently serves as Beyoncé and Solange's manager, he also managed Destiny's Child. Tina served as the designer of costumes for Destiny's Child. During the early days of her daughter's career when money was limited, she created outfits that the members wore on-stage and to events. They caught people's attention since they were one-of-a-kind garments. As the group grew more successful and had more access to designer fashions, they relied less on Knowles' work. Inspired by the legacy of Knowles' mother, seamstress Agnéz Deréon, she and Beyoncé decided to create their own clothing label. 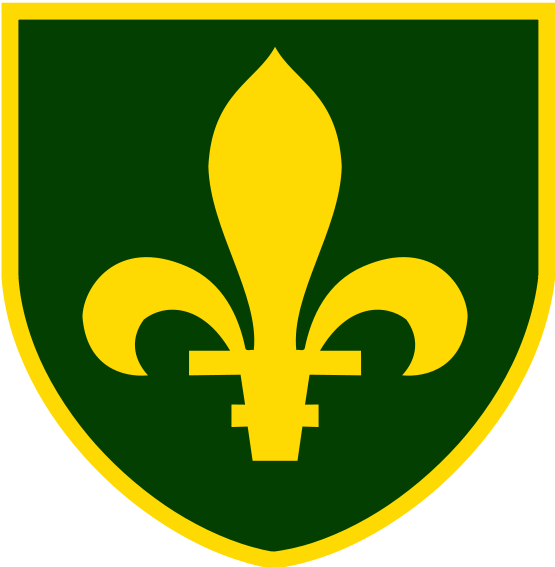 Their label is House of Deréon. The clothing line draws its influences from today's hip hop scene as well as the 1970s fashions Knowles grew up with and the 1940s designs that she saw her mother create. Singer/actress Solange Knowles has been featured in print adverts for House of Deréon. 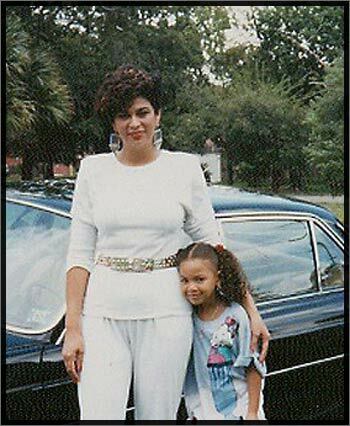 Tina has a younger brother and is the aunt to Angela Beyincé who works as Beyoncé's assistant. Knowles operates her own beauty salon called Headliners Hair Salon located in Houston, Texas. Agnéz, Tina and Beyoncé are all featured on the House of Deréon website. Tina and Beyoncé have modeled their fashions in advertising and have also appeared together in an ad for the 'Got Milk?' campaign. 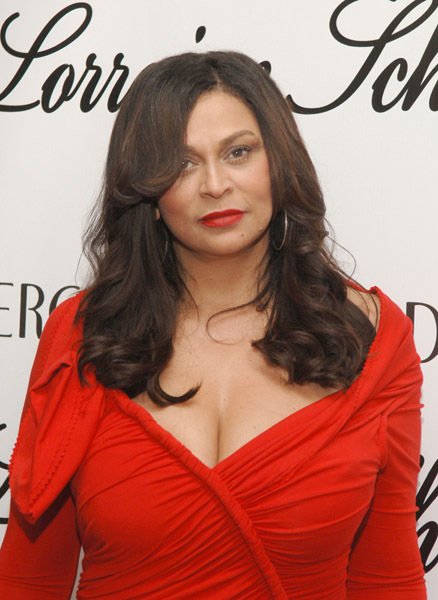 additionally Knowles has a new line that premiered on the Home Shopping Network (HSN) called 'Miss Tina' by Tina Knowles. On the official 'Miss Tina' My Space page it states that Tina's mother's name was Agnéz Deréon Beyincé. The phrase “like mother like daughter” holds especially true in the Knowles family. Blessed with great genes, matriarch Tina Knowles has passed her beauty, brains, and flair for fashion on to her two famous daughters, Beyoncé and Solange. Besides being a devoted mother, Tina is a true renaissance woman who can and has done it all. She’s been a hairstylist, a make-up artist, and even an author, penning “Destiny’s Style.” Inspired by her own mother, Tina is also a talented designer. In 2004 she and Beyoncé started a collection of hip-haute couture called House of Deréon which has since been expanded to include two more lines, Deréon and Miss Tina, the name her staff respectfully and affectionately calls her. Rypka:..... Describe yourself in three words. 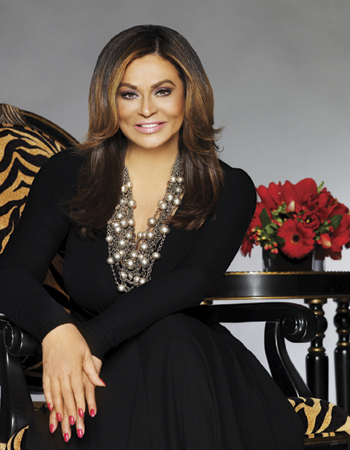 Tina Knowles: Family-oriented, optimistic and creative. MR:...What are you most passionate about? TK:...... My two girls, Beyoncé and Solange, have been the biggest and best thing I’ve ever done in my whole life. I’m also very involved with my church, St. John’s United Methodist Church in downtown Houston. Our family started the Survivor Foundation through which we contribute money to Bread of Life, a non-profit arm of St. John’s that ministers to the homeless and people displaced by domestic abuse. I'm really proud of the Knowles-Rowland Center for Youth where kids can get support and counseling without any questions as long as they’re attending school. There’s a basketball court and all kinds of things for them to do there.My family donated half the money, along with the city of Houston, to build the Knowles Temenos Place Apartments, which opened in December 2009. It has 45 units that people can rent for a small amount of money for up to a year as long as they are working or receiving some kind of job training. Normally when people are displaced and homeless because of mental illness, domestic abuse or drug abuse, it’s difficult for them to get back on their feet because they can’t afford to pay for a place to live, a phone, and utilities. We have a small business center there and vans that provide transportation. The whole idea is to get them back to being productive citizens. I’m really proud and excited about it. Growing up my family didn’t have a lot of money so it’s important for me to reach out to people who are struggling. MR:....... What kind of childhood did you have? TK:...... My parents were both Creole from Louisiana. My mother was the youngest of 15 kids. From an early age she was always looking at fashion magazines and could knock off anything she saw. She would create patterns out of newspapers and make the most beautiful dresses and evening clothes. Growing up, we were so poor I wondered how my parents could afford the tuition to send us to Catholic school. It wasn’t until I was an adult that I found out my mom had bartered her services. She made the altar clothes, the nuns’ habits, and school uniforms while my dad drove the nuns around in exchange for us going to private school. I was glad to find that out because as a kid I was resentful, wondering why they did all that stuff for them. Looking for a better life, my parents moved to Galveston, Texas where my Dad got a job on the waterfront as a longshoreman. When I was in high school, I made all of my clothes and my friends’ prom dresses. My mom taught me that if you buy the remnants of beautiful fabrics, which are the last few yards at the end of the bolt, they are a fraction of their original cost. Like Beyoncé, I was also in a singing group as a kid, and my mom and I made all of those costumes as well. Everything I did prepared me for what I ended up doing with Destiny’s Child, which was really a blessing.